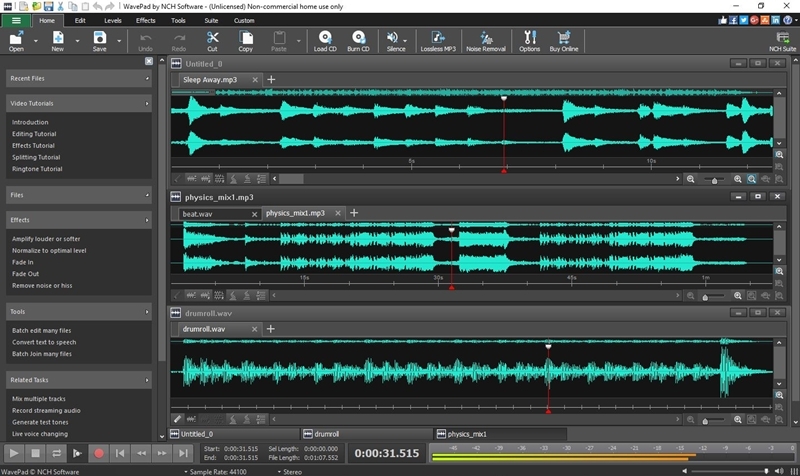 WavePad is a music editing program for Windows PC computer. WavePad allows you to create and edit music and other audio recordings. You can duplicate sections of recordings and add echo, amplification, noise reduction and other effects.